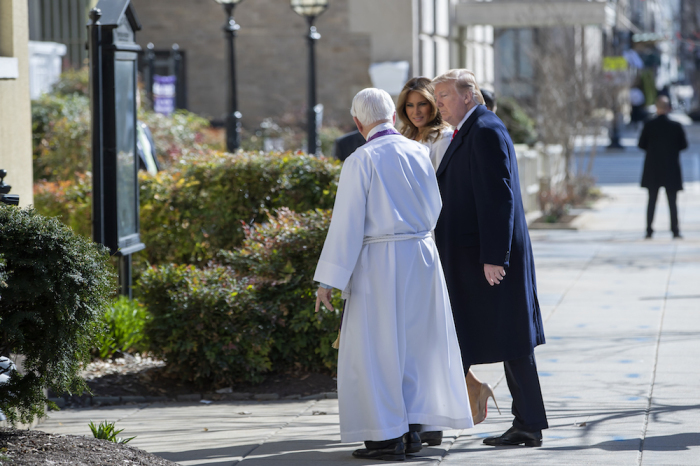 President Donald Trump and First Lady Melania Trump attended worship at an Episcopal congregation located near the White House on Saint Patrick’s Day. The president and his wife went to St. John’s Church of Lafayette Square, with interim rector the Rev. W. Bruce McPherson welcoming the Trump family, according to the Associated Press.